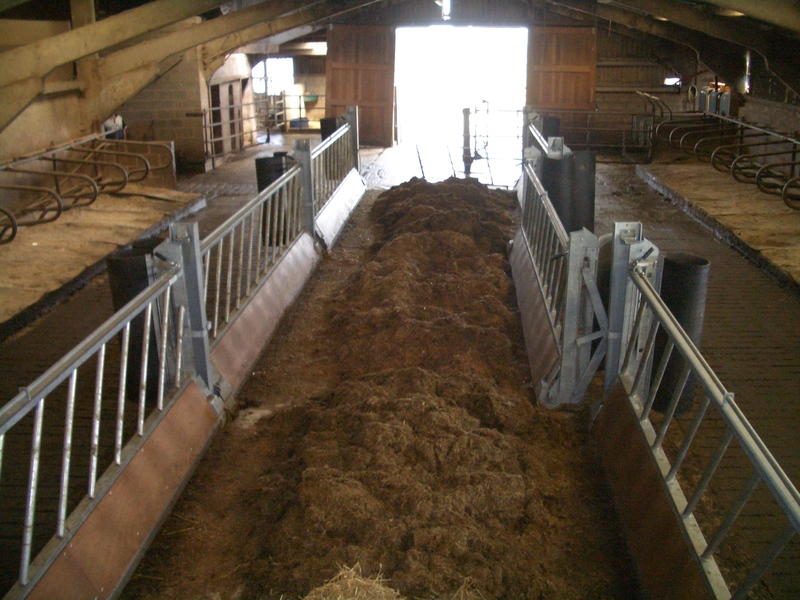 The O’ Donovan Engineering Patented Cow Pow system is a moving feed barrier. This feed barrier allows the cattle to push forward in order for them to follow a natural feeding pattern. The Cow Pow has been in operation on farms in Ireland and across Europe for the past 20 years. We recently made new changes to our Cow Pow system. The feed barrier is now higher giving the cow more space. This provides a greater reach for animals while feeding. The Cow Pow can now travel further than our previous Cow Pow. These changes create a more relaxed atmosphere for animals as they have a constant feed supply while housed and have increased comfort. Feeding only once or twice a week, saving up to 70% labour time. Gain up to 30% more space for cubicles. Higher stocking rate in beef cattle pens. 24 hour access to silage allowing animals to follow a natural grazing pattern. 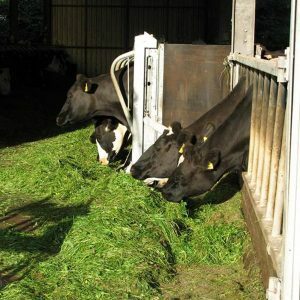 10% higher silage intake/ savings on concentrates. Labour: up to 70% less feeding time. Concentrates: 10% higher silage intake. Mean savings of 20% on concentrates. Building costs: better utilisation of space. Machinery: lower investment and depreciation. Total forward feeding of up to 220cm/7ft. One or two sided feed passage. Feed Space per cow: 23cm. Three stage locking system optional. Maximum fall per bay 8cm. Slope from centre of passage: 5cm. Side safety mat for maximum security.